Quite recently, WooCommerce was bought by Automattic. 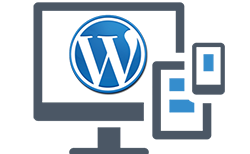 Automattic is the makers of WordPress. This indicates how big WooCommerce has grown into. WooCommerce is an open source free e-commerce solution which helps you to run a web store all by yourself. You can upload your products to your web store and sell the products as you’re your pricing and taxes. Their USP is the instant store setup, easy navigation, and gateway for quick checkout. It powers more than 30% of the world’s e-commerce websites. Therefore, WooCommerce hosting makes sense in order to set up your business onto. The reason you need to be managed WooCommerce hosting because it’s free. This way you can sell the products online easily and do so without any load time over your website, thanks to the hosting. Within a few minutes, you can start your business online. The best thing about WooCommerce is the advantage it has for first time sellers. With so much overhead, paperwork and manpower needed in running a physical store, your online store can easily be run within minutes. This is where Hostjinni.com comes into the picture. We at Hostjinni deliver the very best in web application hosting. This ensures that you are running your web store with WooCommerce’ features and our error free hosting solution. For WooCommerce, the plan that you choose would be free, but the best WooCommerce hosting will be done on Hostjinni. The templates, themes, and modules available on WooCommerce are endless. The whole setup of WooCommerce’ easy platform allows you to start selling within minutes. The layout and dashboard are easy to understand. The different tabs are easy to configure for your store. With detailed tracking of orders, wonderful customer engagement tools, and social media plugins, you can turn your web store into virtual shop online. Add to that the customers can register, remember preferences and look at past orders. The shipping and tax settings are easy to set up as well. The organized manner of your web store and the quick load time of your images will surely let you generate organic traffic and further revenue. WooCommere web hosting will allow you to be carefree about the security of your web store. The servers of Hostjinni are backed up well so in case of emergencies, your data is secure and your store won’t face any downtime. The content management system is impressive with a lot of customization options available.